The Vikroria Luise is a beautiful watch with a highly distinctive appearance. 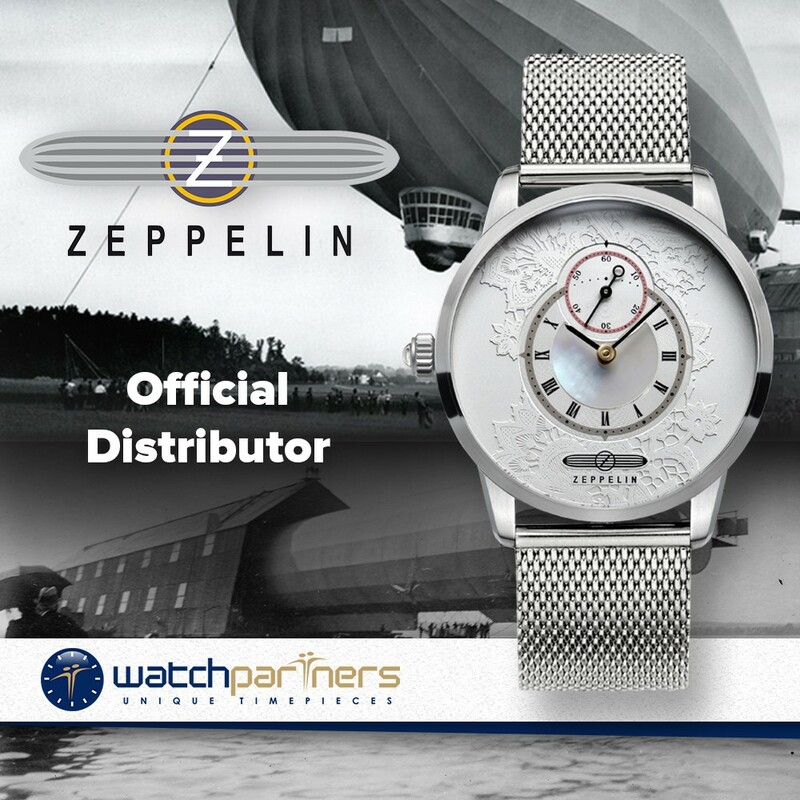 Dimensionally the watch has a diminutive 316L stainless steel case measuring 35mm x 8mm (excluding the crown) which will definitely appeal to the discerning female buyer. 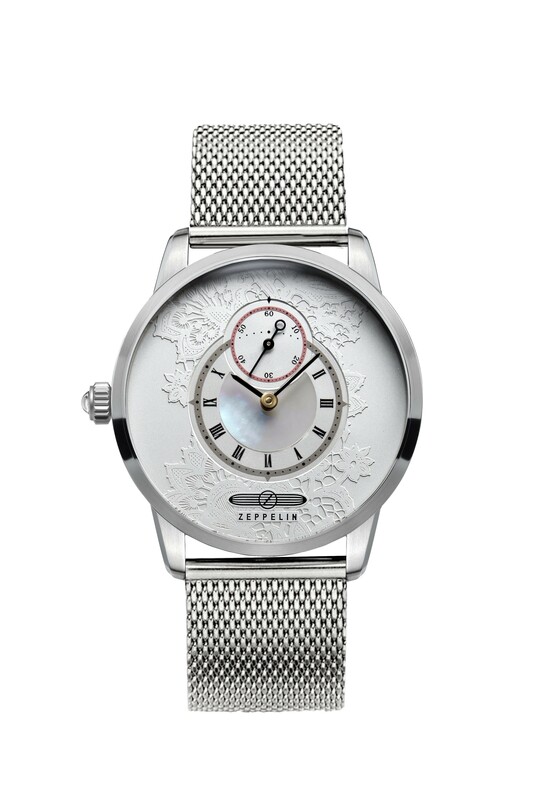 What makes the watch so eye catching is the meticulously decorated white floral dial with mother of pearl dial inlay. Other fine details include two central overlapping counters, steel mesh bracelet and Swarovski stone inset crown. Beneath the elegant silhouette lies a Swiss made Ronda 1069 quartz movement.